At Marriott, we believe that unique hotel amenities help make business trips more efficient and leisure vacations more memorable. Whether it’s free Wi-Fi*, evening socials with food and drinks or access to local gyms, hotel amenities can take a typical hotel stay and turn it into something special. Learn more about Marriott hotel amenities, and book hotels that promise to make your stay enjoyable. 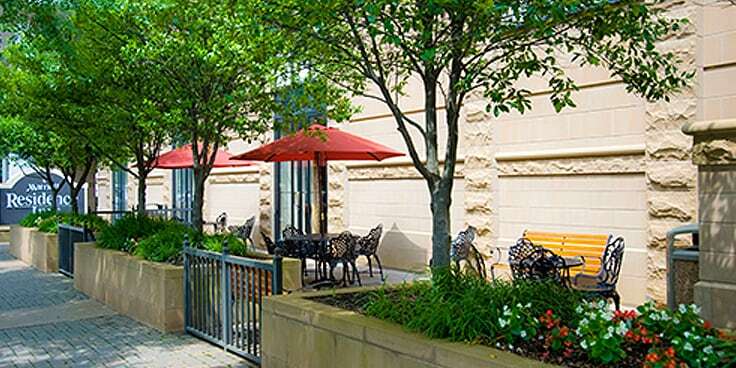 Make extended stays feel more like home with a hotel room at Residence Inn. Wake up refreshed and enjoy daily hot breakfast to start your day. If you’re too busy throughout the day, let our staff deliver groceries directly to your hotel room to make mealtime prep even easier. In the evening, mingle with other guests during The Residence Inn Mix events. These evening socials are a truly unique hotel amenity, offering a variety of themes like food truck Wednesdays and grill-out Tuesdays. 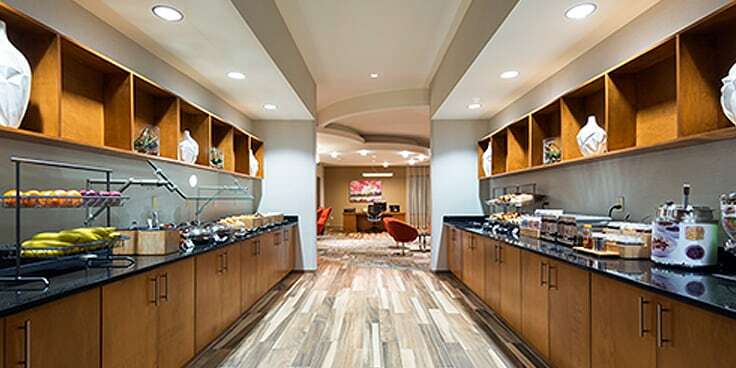 Whether you travel for work or play, Courtyard by Marriott has hotel amenities that will help you make the most of each day. Courtyard lobbies feature GoBoard® Touchscreens that give you information on-the-go so you know what to expect for the day. In our hotel rooms, enjoy plush bedding and Paul Mitchell® toiletries to keep you feeling refreshed. Hungry? Our 24/7 Market has you covered any time of the day. Stay well at Fairfield Inn & Suites with hotel amenities and guest rooms that keep you comfortable. Complimentary newspapers help you stay on top of the latest news, while free coffee and tea throughout the day keep you feeling energized. If you want to stay in shape while traveling, Fairfield Inn & Suites has you covered. Take advantage of a free, seven-day club pass to any Life Time Fitness facility. At our all-suites properties, you’ll enjoy hotel amenities that make your stay more comfortable. Grab a bite to eat in the 24 Hour Market, or enjoy a free, hot breakfast before taking on your day. Need to get some work done while traveling? Our on-site business center ensures you have all the amenities you need to get your work accomplished. 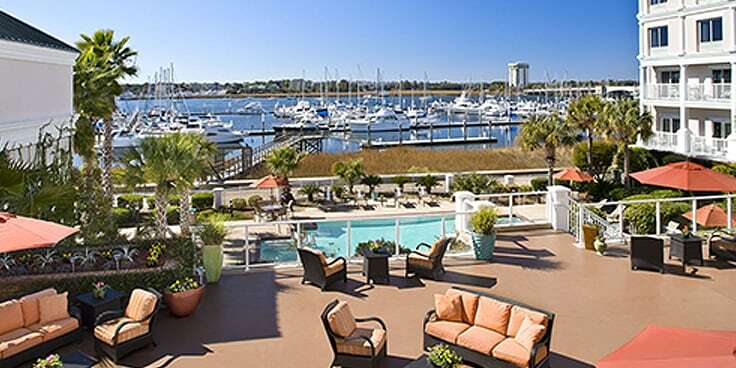 *Amenities like free Wi-Fi vary by brands and specific locations.